Leadership in a chaotic world. It can be found in many different places and circumstances. It is sometimes difficult to define, but it is easy to recognize and learn from. “The Death of the Julia Division,” the newest book published by NHBV, is not a business book. It is a true story of leadership and survival in the midst of war; and it offers thought-provoking insights about the challenges a leader faces. Interested in survival in today’s stormy business seas? Want to better understand the kind of leadership and leadership actions that it takes? If so, you may be interested in our newest leadership book. 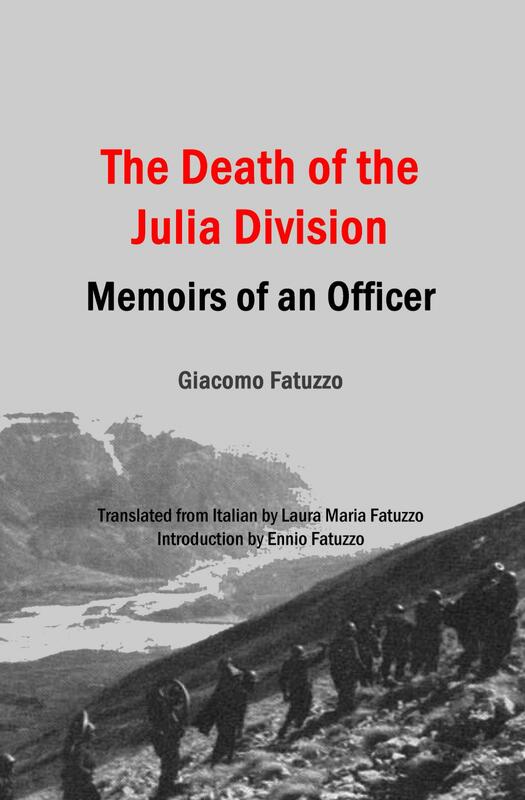 This book is the devastating chronicle of the destruction of the 3rd Alpine Division Julia (an elite group of army alpine soldiers, once 10,000 strong) in Italy’s war against Greece in 1940. Based on Fatuzzo’s actual war diary, the book provides an emotional, first-hand, day-by-day description of the challenges encountered, the suffering endured, and the battles fought by these proud alpine troops, of which he was one. These pages tell a timeless story―the agony of a leader who doesn’t believe the war he is fighting is justified but fights as hard as he can; the anger of an officer who knows that his superiors are making poor decisions from a remote location but still must follow the resulting orders; the commitment of a soldier who does his best in impossible circumstances and who suffers tremendously, as do all of those involved in the campaign. How different is this from stories of soldiers in Vietnam, Iraq or Afghanistan? Are their thoughts and actions and suffering so very different from Fatuzzo’s? Ultimately, his book is an anguishing journey by a survivor into the ugly realities of war―any war. And it provides a powerful statement on the courage and the strength of the fighting men and their leaders. “The Death of the Julia Division” is available in both paperback and Kindle formats from amazon.com. For additional information and other business leadership offerings from Carol and Ennio Fatuzzo, visit our authors’ Web site fatuzzobooks.com.